When you’re having fun with your glow in the dark disc, the last thing you want is for the lights to go out. 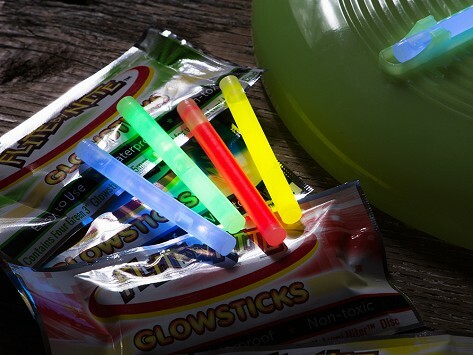 With a refill pack of sticks on hand, you’ll keep the glowing fun going. See Flite By Nite Review since the 2 gifts are a go-together-item. Playtime can keep going even in the nighttime when you’re tossing a glow in the dark disc—a fun twist on a traditional backyard staple. The disc is translucent, so the colors glow through, lighting it up from all angles. Mix and match disc and glow stick color combinations. When the sticks wear out, just pop them out and replace. Of course it’s also fun to throw the disc around during the day, too. Angel Trichak invented the Lumi-Niter after a perfect beach day came to a screeching halt once the sun went down. She couldn’t see anything besides the light from a campfire. It’s such a simple idea, but kids will be mesmerized by the flying light show that they create.